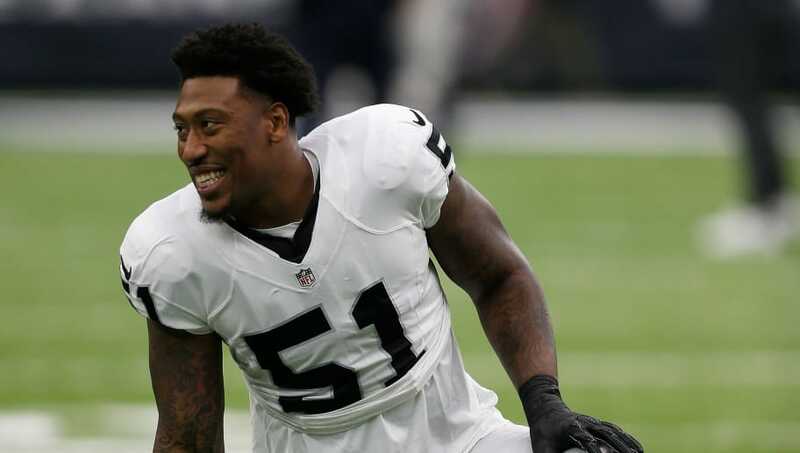 Veteran defensive end Bruce Irvin wasn't a free agent for long. Just four days after the Raiders released the 31-year-old stud, the Atlanta Falcons have come calling. Irvin is officially headed to Atlanta for a reunion with head coach Dan Quinn, his old defensive coordinator from back in his Seahawks days. Welcome to the Brotherhood, @BIrvin_WVU11! The Raiders shopped him around ahead of the trade deadline, but upon ​finding no takers, ​opted to release him on Friday. He cleared waivers without any team submitting a claim, but it's worth noting that the Falcons weren't the only organization checking in with him once he hit free agency. The 2012 first-round pick won Super Bowl XLVIII with Quinn at Seattle. He has appeared in at least 15 games in five of his first six seasons in the league, and moved to Oakland on a four-year, $37 million deal in the spring of 2016. With the Falcons having suffered so many key injuries up and down their defensive depth chart, today's move just feels natural.